This makes us want to surprise our S.O., too! 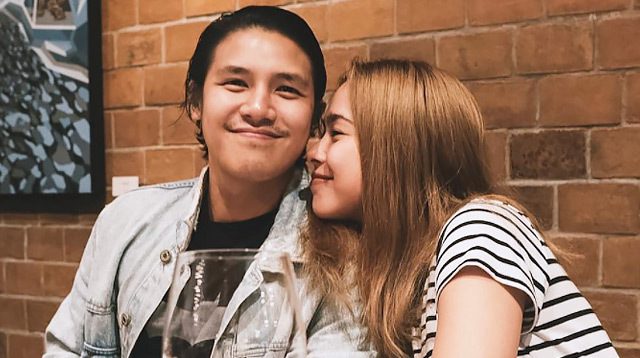 Blogger-musician Saab Magalona and her husband, marketing executive and musician Jim Bacarro, are the cutest! For the simplest and sweetest reason to say thank you for "always working so hard for our family," Saab surprised Jim with a shirt that "he's been wanting." Lucky for us—we could all use a little kilig once in a while—Saab caught the entire exchange on their home security camera and posted it on her Instagram account. And Jim was visibly thrilled. Who wouldn't be? In her caption, she wrote, "I wanted to #SayThankYou to @jimbacarro who's always working so hard for our family. I know he's been wanting a new basketball jersey so I surprised him with one out of the blue! Captured the surprise with our home security cam. I challenge you guys to do something kind for the wonderful people you're grateful for! Don't forget to always #SayThankYou."